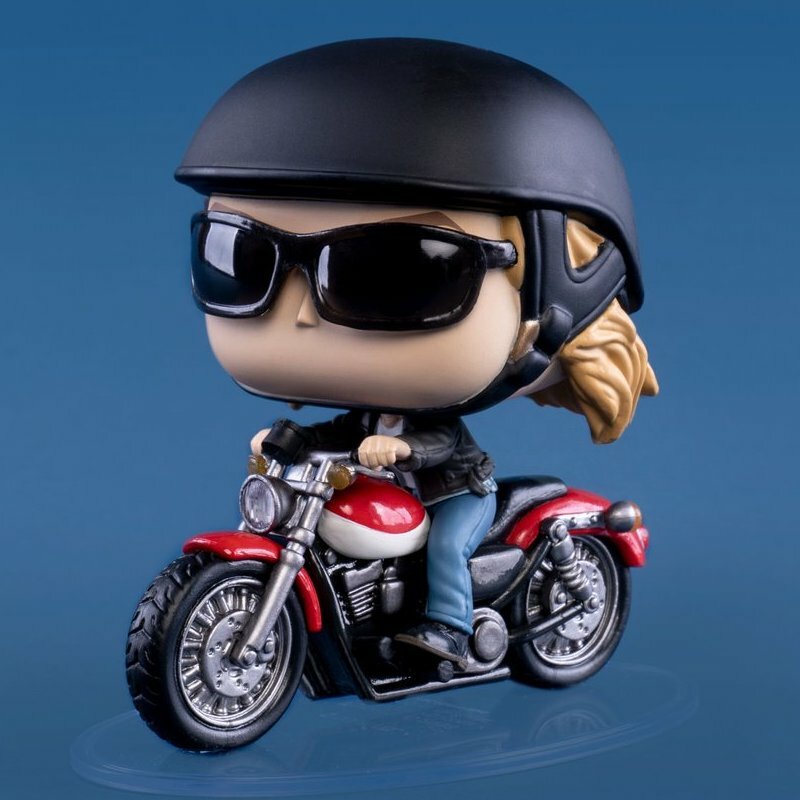 From Captain Marvel, Captain Marvel (styles may vary), as a stylized POP vinyl from Funko! Stylized collectable stands 3 ¾ inches tall, perfect for any Captain Marvel fan! Collect and display all Captain Marvel pop! Vinyl’s! POP Money Heist Berlin With Dali Mask Chase Limited Edition. 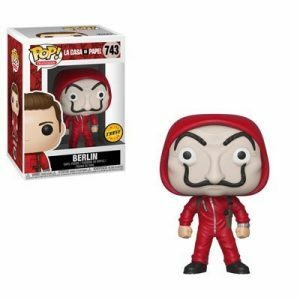 The Spanish heist series makes its vinyl debut in Funko Pop La Casa De Papel following a move to Netflix. Literally translated as The Paper House, fans and collectors may also know it as Money Heist. Collect all these Money Heist Characters. The next wave of F.R.I.E.N.D.S. Pop! Vinyl Figures from Funko are here,Now this time featuring the gang in some of their most memorable moments from this iconic movement. 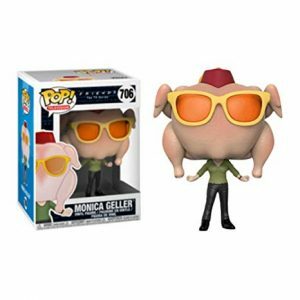 Specially Monica Geller in Turkey Head Pop! Flashback to the 80’s with Rachel, Ross and Chandler, head to Monica Geller Halloween Party with Phoebe in her Super girl costume, do some lunges with Joey who is wearing everything Chandler owns or take a trip to Barbados with Monica ! From Friends, Monica with Turkey Head, as a POP from Funko. 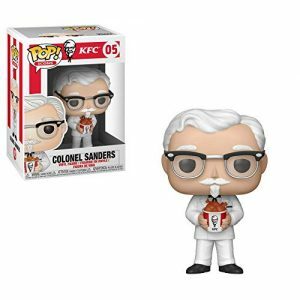 Collect and display all Friends TV series figures from Funko. This toy is not suitable for ages under 3 years. It contain small parts. A mysterious man, known as “The Professor”, is planning the biggest bank heist in history. To carry out the ambitious plan, he recruits a team of eight people with certain abilities who have nothing to lose. This Pop! Vinyl features Tokyo, who is restless and ready to get the job done! This toy is not suitable for ages under 3 years. It contains small parts. The Aquaman below is based on the New 52 Justice League incarnation of the character, drawn by Jim Lee. 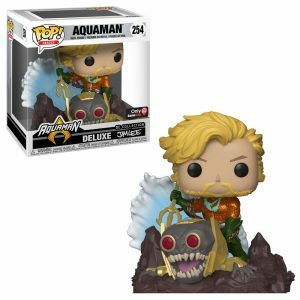 This deluxe pop features Aquaman standing over a dead parademon, with a nice wave crashing in the background. Collect and display all Avengers Endgame pop! Vinyl’s!